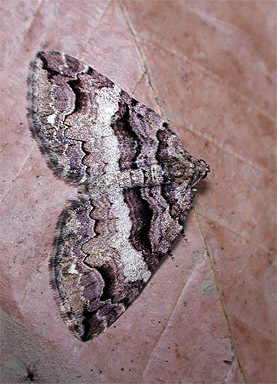 Both common names suit this moth well, as it comes out very early in the season, and it's pattern is highly variable. The Carpets are in the subfamily Larentiinae. These are not the carpet moths that feed on the fibers in rugs - completely different family. They are called Carpets because centuries ago, people would collect thousands of them and sew their wings together together to make carpets for their homes. Okay - made that up. I really don't know why they're called carpets, but would like to.